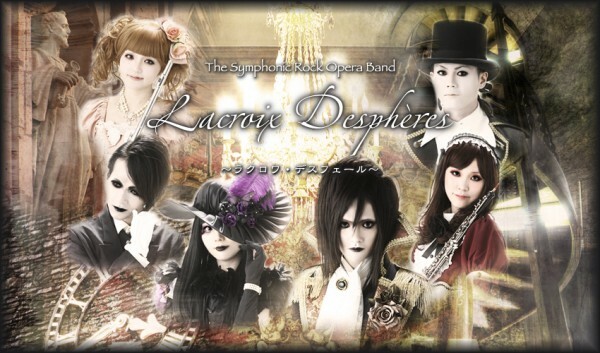 Lacroix Despheres is a Visual Kei symphonic rock opera band from Tokyo, Japan. 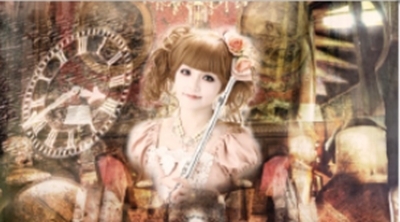 The band was formed in 2006 by songwriter and lead vocalist Sho, and soprano vocalist Saya. 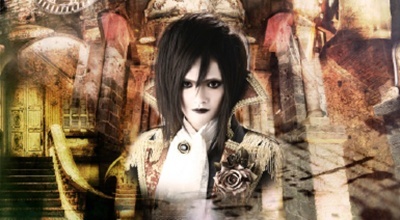 “Visual Kei band can become a composite art.” Based on this belief, they perform the live that fused the theatrical art (such as opera or musical theater) and a Visual Kei bands. Thay adopt various direction to pursue the further possibility of Visual Kei bands. While following the traditional Visual Kei style, their show incorporates video projection, storytelling, dancing, audience collaboration onstage and all kinds of theatrical entertainment along with their signature symphonic rock sound. 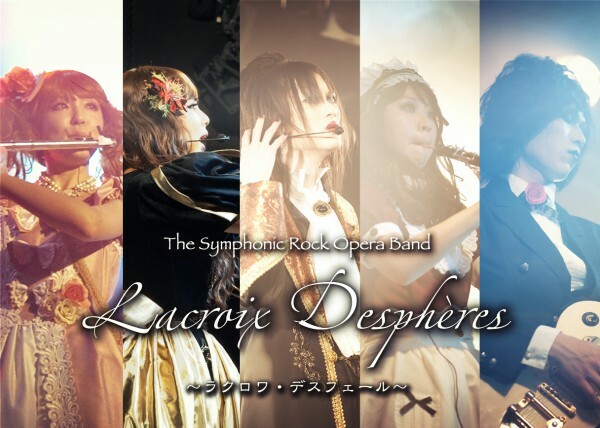 Lacroix Despheres’s core musicians consist of two vocalists with a flutist and oboist joined by a band, full orchestra and choir in combination to form our characteristic epic symphonic metal sound. Since forming in 2006, the band has released two studio albums and three EPs. 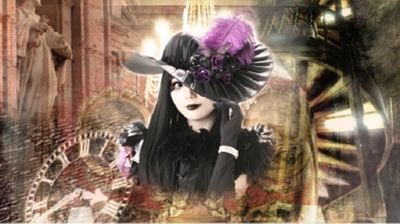 1st album “Dernier Paradis act1” (2008) got the third place in the ranking of the Visual Kei CD shop “Jishuban club”. 2nd album “Dernier Paradis act2” was released in 2010 and got an annual champion in contest “MoveOn10″ of music magazine “Player”. SOUL TOUL (GLAY, B’z, Kuroyume, etc.) participated in this album as a guest drummer. 3rd single “Torikago shoujo no kareinaru dasshutsugeki” (2014) got the first place on Amazon MP3 hit chart in Japan. Naoki (ANCIENT MYTH) participated in this musical piece as a guest bassist. In November 2014, they began a crowdfunding campaign with “Video Game Orchestra” to produce a new album for all over the world. This is the world’s first crowdfunding project by a Visual Kei band in collaboration with a live orchestra. In January 2015, the campaign succeeded, and they are producing the new album now. 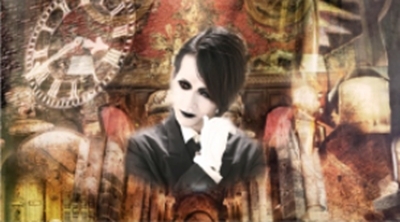 Sho is the vocalist and Composer of Lacroix Despheres. He started composing music using the piano in his house since childhood. Sho started to study music composition and classical singing methods when he was in high school. He graduated from Kunitachi College of Music with a bachelor’s degree in Classical Composition. When he was in College, he formed Lacroix Despheres. Saya is the Soprano Vocalist. She sang in a choir when she was child and learned Christian culture and hymns also. She have many voice types, she can hit the high notes of a soprano in classical music and as well she have powerful vocals suitable for rock music. In addition, she is also designing the CD covers. She likes animals. In particular dogs and capybara. Pegeot is a guitarist of Lacroix Despheres. He participates in Lacroix Despheres from 2008. His live performance is a quiet style. However, he always insists to be present a variety of acts for each live. He loves liquor and sleeping. 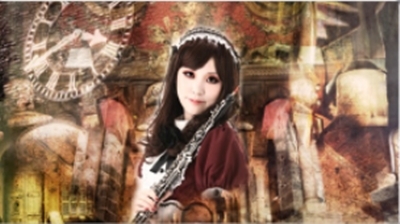 Mizuki is a flutist of Lacroix Despheres. She has participated from 2010 to Lacroix Despheres. She learned playing flute at the Kunitachi College of Music. The sound of her flute makes the music of Lacroix Despheres more gorgeous. Her hobby is to watch movies. She have a cute look but she likes horror movies. 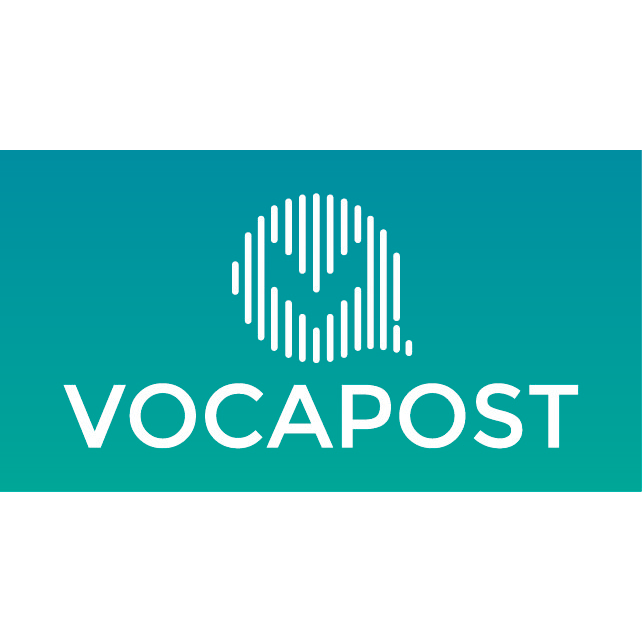 Satomi is an oboist of Lacroix Despheres. The band that has oboist also is very rare. 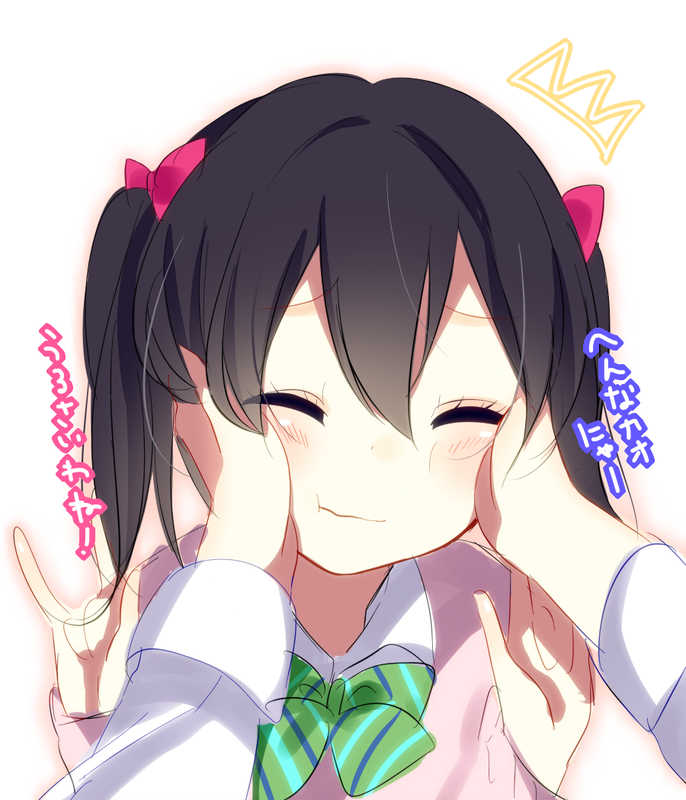 She learned to play oboe in Kunitachi College of Music, too. The ensemble of her oboe and Mizukiʼs flute is an important characteristic of Lacroix Despheresʼs music. Her hobbies are drinking tea and climbing mountains. Next“K: Return of Kings” Rilis Kampanye Visual-nya selama 100 Hari!